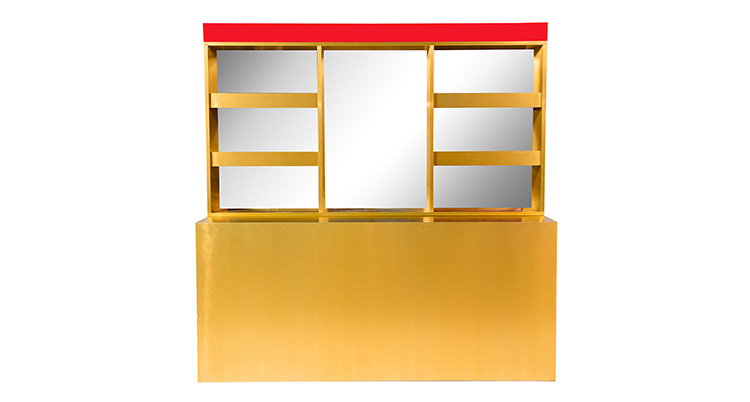 The Faena Back Bar is a custom designed back bar made of mirrored gold laminate. It can be used as a back bar to display liquour bottles or for any type of product. The Faena Back Bar matches our Faena Bar.